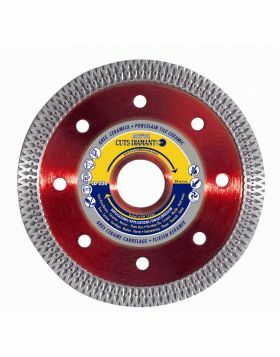 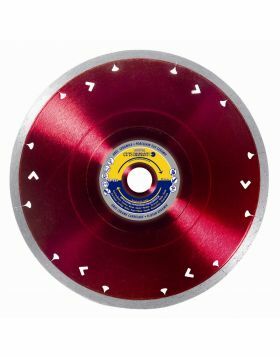 Diamond saw disc with 10mm turbo rim for cutting porcelain tiles, ceramics and more generally for all hard and very hard materials. 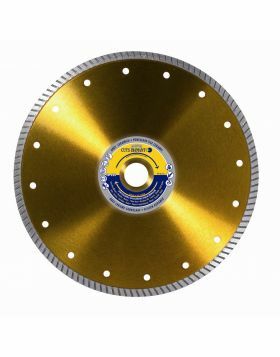 It allows an extremely fast cutting, with little dust and free chipping. 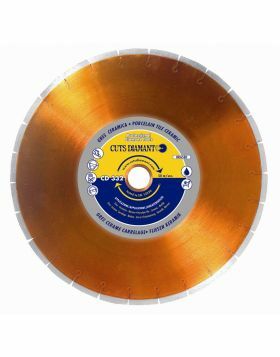 Available in diameters 115mm, 125mm, 180mm, 200mm, 230mm, 300mm and 350mm.